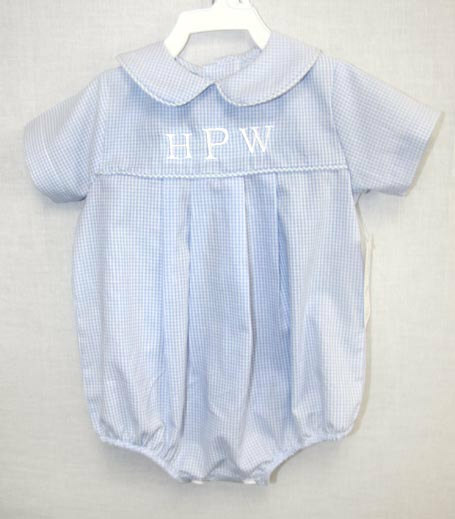 Etsy is a gold mine for baby clothing and gear. 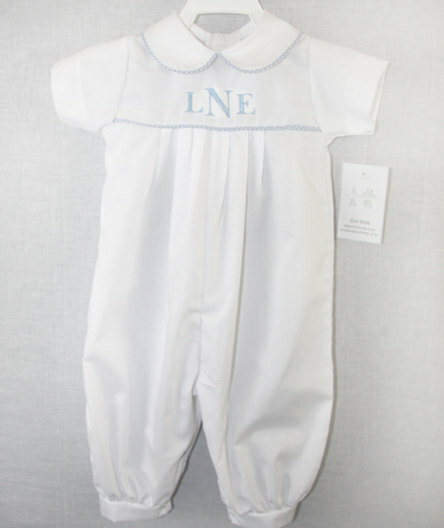 One of the first things I did after finding out we were expecting is scour the website high and low for sweet baby finds. Here are some of my favorites (so far)! I really love this one. As for me and my baby, I do realize it’s probably too girly for a boy. Then again, the truth is that our baby is going to have some borderline feminine things due to his mama’s taste. I’ll mix in enough “boy” stuff to balance it out! I do love this one too and it’s a little more neutral, but equally sweet. What’s not to love about a sweet pillow like this? Ok baby girl mamas, this one is for you. 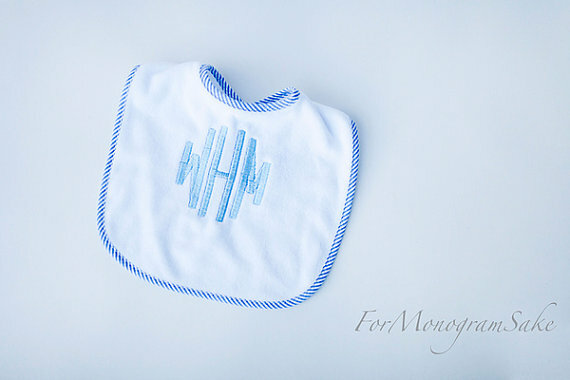 Baby or not, you’ve got to see the amazing monograms in this shop. She has gorgeous home linens as well. I can’t get over how sweet this set is. 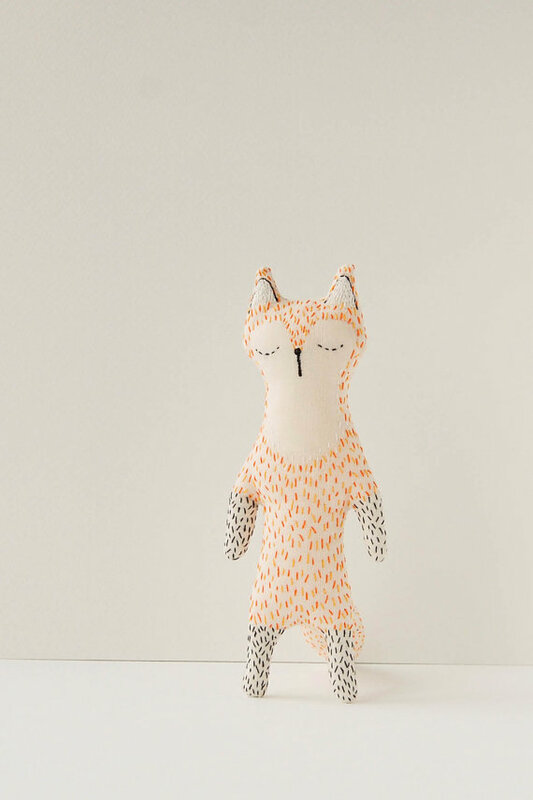 Take a look in this shop and be prepared to be swept away with cuteness. 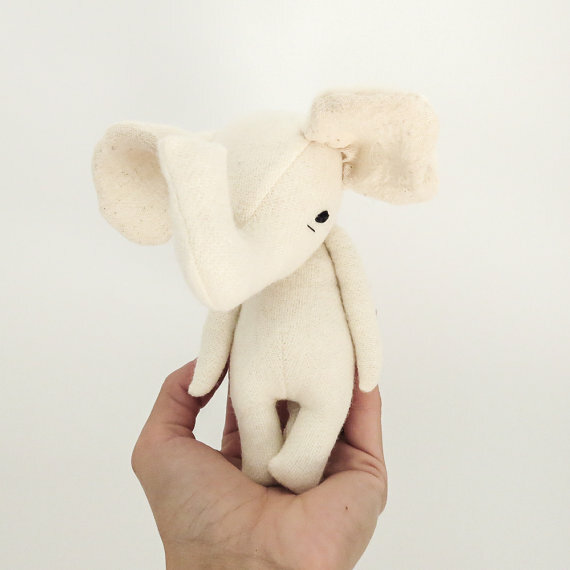 This one is handmade from a wool fabric in the softest shade of cream, densely filled with 100% wool stuffing, and completed with a hand embroidered face. This has to be my favorite. It’s a must for any southern baby boy. I can’t wait to dress ours in sweet bubbles like this! It comes in pink, too! There is also a matching burp cloth that is equally adorable. This particular one is actually on sale! I love the soft color. It can be worn as a poncho, as a scarf, and can also be a stroller/infant carrier cover. Love all of these picks! I ordered the white outfit for my 2 ring bearers in my wedding. Their not so southern momma thinks I am crazy but I am just a complete sucker for a sweet little outfit like that. Great finds…etsy is so overwhelming, so I always love when someone shares their favorites! So adorable! We just got our niece a pillow with her name embroidered on it – she's due Sat! The Boudoir pillow is stunning and something I definitely want for myself! 1. 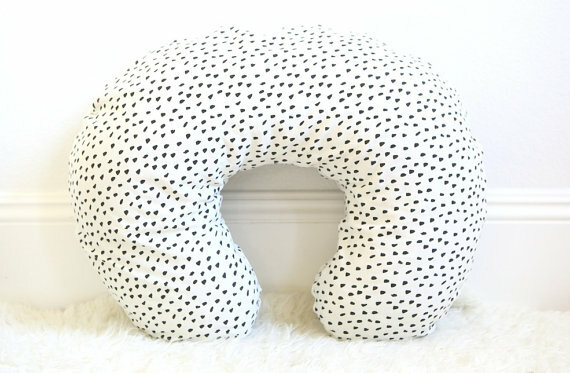 I have been eyeing that polka dotted boppy as well! I think it's actually very neutral – which has been my muse (especially when registering for baby items! This way, we can reuse if God decides to give us girls someday, right?!) Doing Ben's room in black and white buffalo check (timeless and masculine) and I am alllll about black and white at the moment. 2. For Monoogram Sake is my friend, Joy's etsy shop! haha SMALL world, child! She really makes some sweet things! 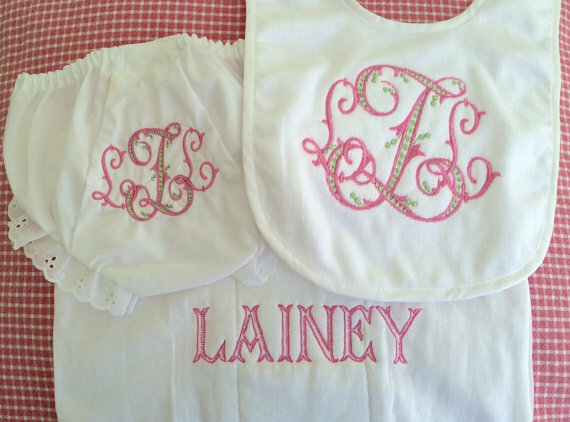 Just stopped by her house the other day to pick up a monogram for a baby shower! haha. Will tell her you plugged her! 3. Hope you are feeling well! I just purchased a sweet baby bible that I bet you would like. 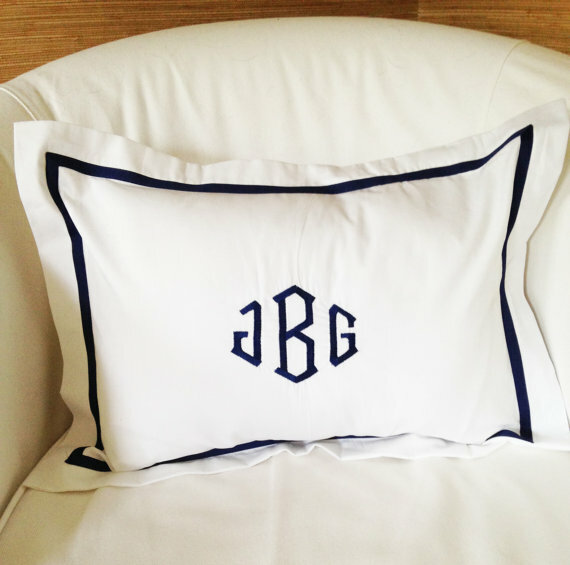 Will send you deets….I purchased a white one (rather than a baby blue) and rather than doing his monogram, opted for the traditional script. It's sweet and I am OH SO excited about it. Thank you for including my boppy in this list! I'm so flattered. Your blog is absolutely stunning 🙂 🙂 Congratulations on you new little one!! !